DAVID MENGUAL SLOW QUARTET + CARME CANELA, presentation of the new CD “Extraña alegría de vivir”. 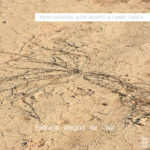 Sergio Pamies “What Brought You Here”: new album! © 2019 bebyne records – Official Website. All Rights Reserved.